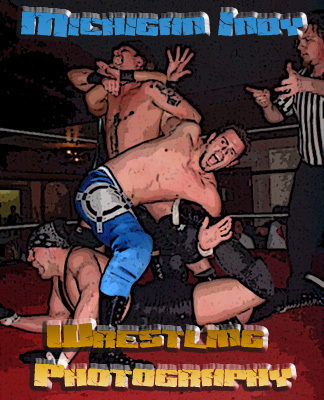 Michigan independent wrestling federations, wrestlers, news websites and more ! Have a link you would like too see on this website? Contact MIWP! The PWL A great source for news in Michigan wrestling. BorderCityWrestling Check out this top notch Canadian Indy fed! Michigan Indy Wrestling Central Complete listing of upcoming events... Awesome! Cleveland All Pro Wrestling Check out this great Ohio Wrestling Federation! The Offical Rough House R.O.B. Website " The Whole Drunken Show"
CLICK HERE FOR MORE LINKS!!!! "Vote for this site at the Wrestling Resource!" out how to insert this at your website!